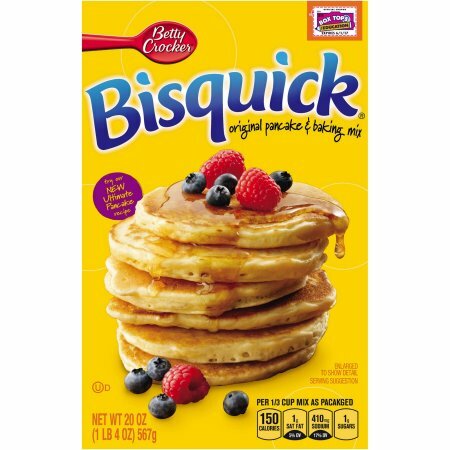 Enriched Flour Bleached (Wheat Flour, Niacin, Iron, Thiamin Mononitrate, Riboflavin, Folic Acid), Partially Hydrogenated Soybean And/Or Cottonseed Oil, Leavening (Baking Soda, Sodium Aluminum Phosphate, Monocalcium Phosphate), Dextrose, Salt. 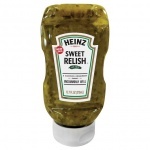 Contains Wheat Ingredients. 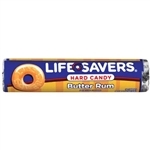 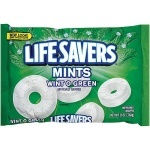 Life Savers Butter Rum American Candy 1.14oz 32g Lifesavers.